This is my kind of bread. I have made this many times, trying to perfect it. I wanted to give it the exact cinnamon and raisin ratio. I don’t like the kind of cinnamon bread that has to much cinnamon. You know the kind that burns your throat as you eat it. 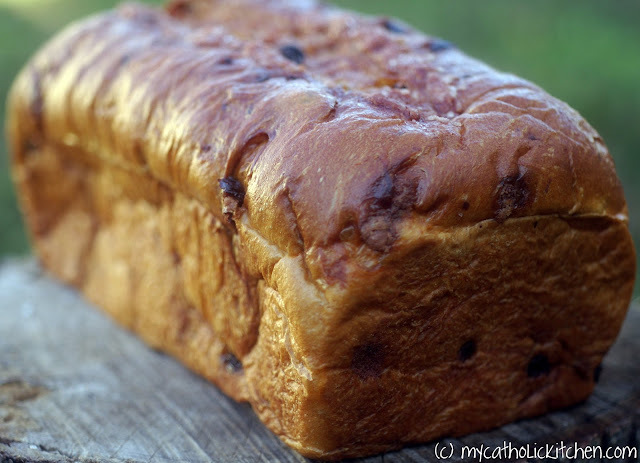 You also want to have plenty of raisin to bread ratio. This has it. It is great as is or toasted. I mostly like this in the morning with a pat of butter. It is very good in the afternoon with coffee as a pick me up. This is a wonderful breakfast loaf. YUM! This is just begging to be sliced and slathered with butter. I know I’d need several slices to go with my morning/afternoon/evening cuppa. Lovely photos, Veronica. Oh yum! This looks lovely. I can’t help but mention about cinnamon, though. I have noticed it really depends on what kind of cinnamon you are getting. I get mine from Penzey’s just for this reason. They have 3-4 different kinds. The one they say is mild and sweeter is the one I tend to use for quite a bit of things. It makes a huge difference. Looks wonderful. I love your bread recipes. Still am in love with the pesto swirl bread! It looks wonderful, I could almost taste it! Would be great with a large cup of tea and a good read! I bet this makes the house smell amazing! 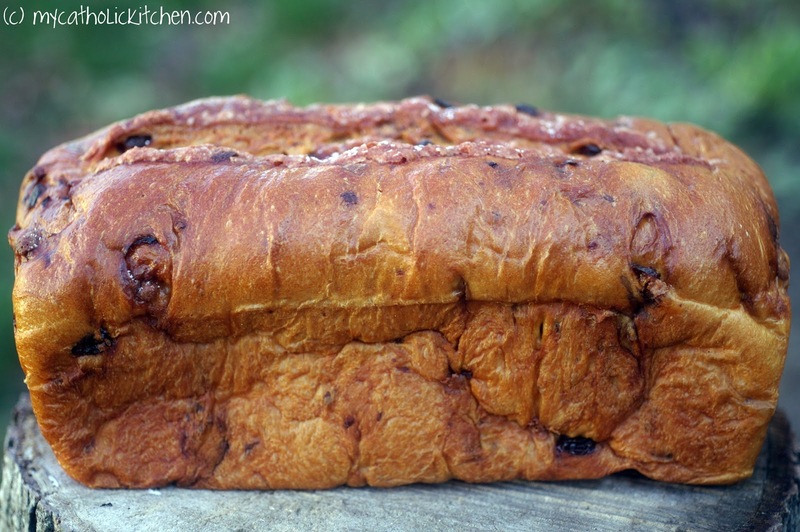 It’s been a long time since I had cinnamon bread – looks delicious! Buzzed. This bread looks amazing! Love cinnamon. Yum!